Are you looking for roofing contractors in Naperville? Contact Adept Construction for all your roofing needs. We handle much more than quality roof installations. 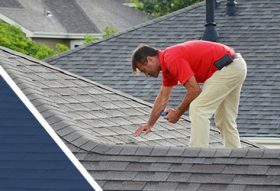 As a premier roofing company serving Naperville and beyond, we offer roof repair services, in addition to handling roof replacements from start to finish. Whether you have flat roofing, asphalt shingle roofing, composite roofing, or something else, we are able to do the job expertly and to your satisfaction. If you see any signs of roof damage, including leaking into your attic or water spots on the walls near your roofline, don’t put off repairs, as this can prove a costly mistake. Contact Adept Construction today for a free estimate. How Often Do You Need A Roof Inspection?